So you’re thinking about starting to grow your own food – congratulations! Maybe you’re feeling a little intimidated. Rest assured, there’s nothing to be afraid of, and once you get going, it’s really hard to stop! 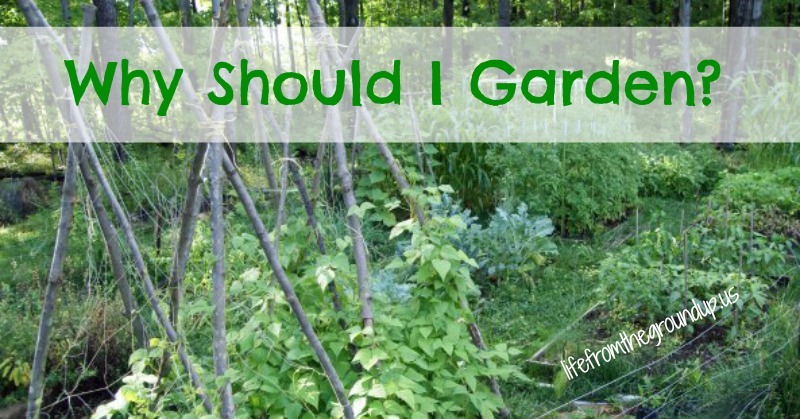 And in case you haven’t committed to growing your own food, I came up with a few reasons to garden to entice you. I know where my food has been and what it’s been exposed to, which is hugely important in our modern chemical-riddled food chain. Not only that, but I get to decide what I grow, without the constraints of my grocer’s produce section. Maybe you’re not quite ready to grow 40 different vegetables, but you can try purple potatoes, striped eggplant, and white tomatoes – none of which you’d ever find in a store. This one is pretty logical – if you have fresh produce in the backyard, you’re likely to consume more than someone who doesn’t have that level of accessibility. Most Americans come up woefully short when it comes to eating fresh vegetables and fruits. By sticking a tomato plant in a pot, you’re already coming out on top. Not only that, but it’s low-impact, low-stress, so you don’t need to be in 6:00 mile shape to partake. It’s generally not overly strenuous (unless you’re double-digging 300 square feet of yard), but it’ll get you off the couch and into better shape (it’ll tone muscles you weren’t even aware you had, and can also lower your osteoporosis risk). Don’t believe me? Do a little weeding, watering and picking for just a half-hour, and tell me that you’re not sore the next day! I chalk this one up to the simple fact that you’re outside, under blue skies (sometimes), breathing fresh air, and getting away from your iPhone and laptop for a bit. Experts will point to things such as blood pressure, brain electrical activity, and reduced muscle tension (with numerous studies to back up this anti-depressant, satisfaction-inducing effect). Whatever the reasons, gardening is just as good for your mental health as it is your physical health. Okay, I’ll throw in a caveat here. 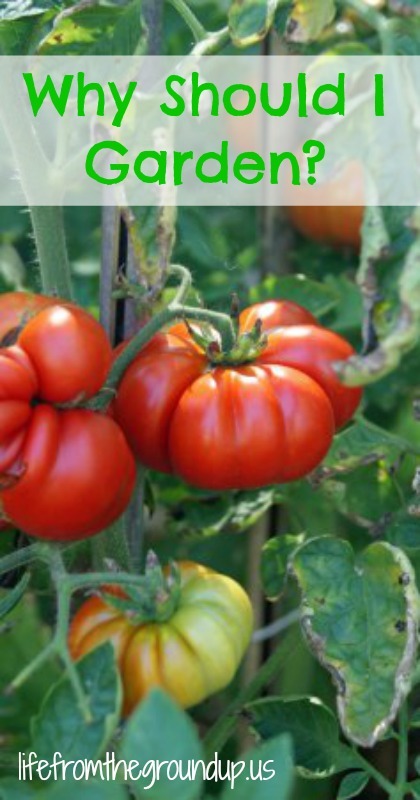 If you’re just starting out, you may have some upfront expenses that raise the average cost of your tomatoes to $3 apiece (I put in a lot of raised beds during the first spring in our new home, and material costs were a couple hundred dollars). However, you’re not going to be putting in new beds every year, so those costs will defray over time. So in a few years, when you’re getting 20-30 pounds of tomatoes from four plants, your only expenditure is the cost of the pack of seeds (and maybe the price of a little potting soil). Assume those tomatoes would cost $3/lb at a farmer’s market, and you’re looking at $60 worth of deliciousness for $2.50. Sure, there may be additional costs (water, compost, etc.) but the gist of the argument is that it’s most certainly cheaper to produce your own produce than to buy it (and we’re talking quality stuff – you could probably get Mexican greenhouse ethylene-ripened “tomatoes” for less than $1/lb, but those don’t count). This is another of my favorite reasons to garden – everyone can get involved. Everyone. Especially kids. My son has been helping me plant since he was one (little fingers need big seeds), and still loves it. No matter the age, there’s something for each person to do. While a toddler won’t have the dexterity for planting tiny carrot seeds, he can handle squash and beans. Worst case, you give him a small shovel and tell him to go dig a hole somewhere (that you’re not). And they LOVE to help. When you give them a task and a sense of responsibility, kids will take to it with relish. Laziness is a learned behavior, not innate. We don’t give kids enough credit – they’re surprisingly quick learners. When he was two, C could rattle off the names of just about everything we were growing (from turnips, beets, carrots, and radishes to tomatoes, beans, garlic, and corn) just by looking at the leaves and plant structure. He knew more plants than any adult who came to visit. And once he learned what was good and not good, he could help me weed. He also helps water (though I must stand back, because he thinks it’s funnier to spray people than water tomatoes). Gardening is a way to get everyone out of the house and away from their screens. It’s a way to get some fresh air and exercise. Everyone gets involved, and everyone contributes to the final product, which makes it that much more rewarding. Part 2 – What to Grow? Part 3 – Where Should I Plant? 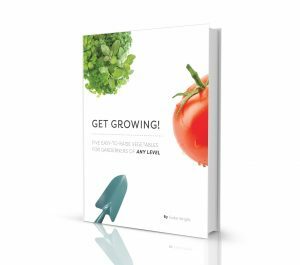 And, Part 4 – How Do I Grow It?